Catherine Huber is an Emeritus professor at Université de Paris René Descartes. Her research activity concerns nonparametric and semi-parametric theory of statistics and their applications in biology and medicine. She has several publications in particular in the field of survival analysis. She is the co-author and co-editor of several books in the above fields. Nikolaos Limnios is a professor at the University of Technology of Compiègne. 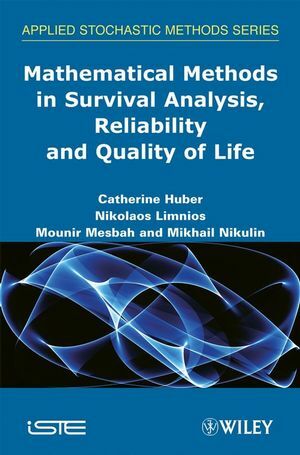 His research and teaching activities concern stochastic processes, statistical inference and their applications in particular in reliability and survival analysis. He is the co-author and co-editor of several books in the above fields. Mounir Mesbah is a professor at the Université Pierre et Marie Curie, Paris 6. His research and teaching activities concern statistics and its applications in health science and medicine (biostatistics). He is the co-author of several articles and co-editor of several books in the above fields. Mikhail Nikulin is a professor at the Université Victor Segalen, and a member of the Institute of Mathematics at Bordeaux. His research and teaching activities concern mathematical statistics and its applications in reliability and survival analysis. He is the co-author and co-editor of several books in the above fields.